Before Ape-ril ends, we must have a Monkey Match! Who do you bet on in a fight between these two? which he uses for a serum to cure a young woman's polio. Does it work? Watch here and see! 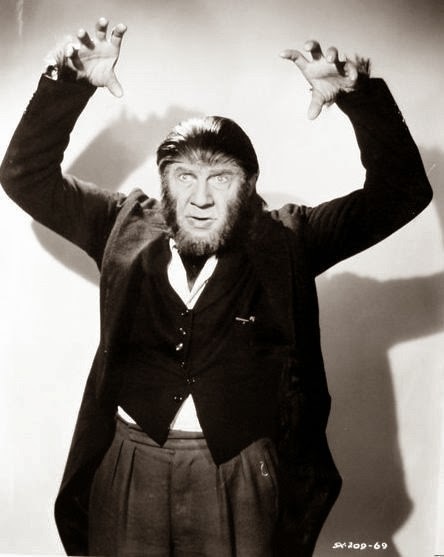 Bela, who also plays a doctor, turns himself into an ape man. which he uses to create a serum to cure his condition. I have to go with The Ape Man. he actually is part ape, so he's stronger. so they could be a tag team! Hmm...I'll need to find time to watch "The Ape" before I can make any bets. The above comment makes a good point about the odor though. Robot Monster storms the ring and pins 'em both with the help of his calcinator death ray! 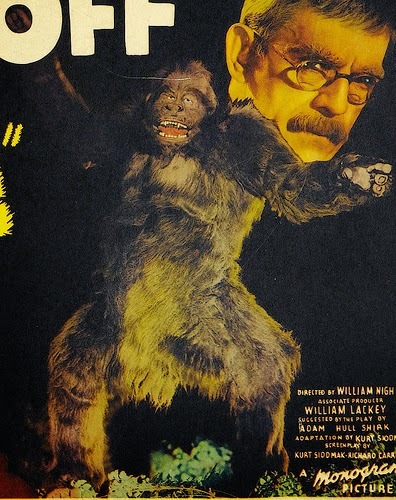 You guys made a great argument for Boris/The Ape, but he was no match for Robot Monster! Thanks for the link, Mantan!